Confucius: His testimony for one God and against Pauline Dogma – For Christians, To be Born Again in Islam! This time Don Richardson following in the footsteps of Judas had duped them into a different irrationality, this was another case of bait and switch, whcih is commonly employed consciously or unconsciously by the Christian apologists to defend all their dogma, they present the proofs and need of One God and then sell to the naive three persons in one being of Trinity, without offering any proof for the Triune God. Here Richardson exploited the Peace Child to sell the Christian dogma of substitution atonement, emphasis being on substitution in atonement as well as in bait and switch. Peace Child was no out of this world phenomenon like the Christian atonement, there was a common practice of intermarriages in the medieval Indian states to ensure peace, the premise was that if your daughter was in a certain state or province you are not going to attack that state. This has little if any commonality with God killing his own son for the redemption of mankind. Analogy would be befitting if God leaves mankind with his living son as insurance or assurance against any plan of punishment on His part so that humans feel safe from any negative intervention from the Almighty! Confucius (Chinese: 孔子; pinyin: Kǒng zǐ; Wade–Giles: K’ung-tzu, or Chinese: 孔夫子; pinyin: Kǒng Fūzǐ; Wade–Giles: K’ung-fu-tzu), literally “Master Kong“, (traditionally September 28, 551 BC – 479 BC) was a Chinese thinker and social philosopher of the Spring and Autumn Period. Michele Ruggieri, and other Jesuits after him, while translating Chinese books into Western languages, translated 孔夫子 as Confucius. This Latinised form has since been commonly used in Western countries. Kǒng Fūzǐ (or Kǒng fū zǐ) in pinyin. K’ung fu-tzu in Wade-Giles(or, less accurately, Kung fu-tze). Fūzǐ means teacher. Since it was disrespectful to call the teacher by name according to Chinese culture, he is known as just “Master Kong”, or Confucius, even in modern days. The character ‘fu’ is optional; in modern Chinese he is more often called Kǒng Zi (孔子). His actual name was 孔丘, Kǒng Qiū. Kǒng is a common family name in China. His courtesy name was 仲尼, Zhòng Ní. 先師, Xiānshī, literally meaning “first teacher”. It has been suggested that ‘先師’ can be used, however, to express something like, “the Teacher who assists the wise to their attainment”. He is also commonly known as 萬世師表，Wànshìshībiǎo, “Role Model for Teachers through the Ages”. The Confucian theory of ethics as exemplified in Lǐ (禮) is based on three important conceptual aspects of life: ceremonies associated with sacrifice to ancestors and deities of various types, social and political institutions, and the etiquette of daily behavior. It was believed by some that lǐ originated from the heavens. Confucius’s view was more nuanced. His approach stressed the development of lǐ through the actions of sage leaders in human history, with less emphasis on its connection with heaven. His discussions of lǐ seem to redefine the term to refer to all actions committed by a person to build the ideal society, rather than those simply conforming with canonical standards of ceremony. In the early Confucian tradition, lǐ, though still linked to traditional forms of action, came to point towards the balance between maintaining these norms so as to perpetuate an ethical social fabric, and violating them in order to accomplish ethical good. These concepts are about doing the proper thing at the proper time, and are connected to the belief that training in the lǐ that past sages have devised cultivates in people virtues that include ethical judgment about when lǐ must be adapted in light of situational contexts. In early Confucianism, yì (義) and lǐ are closely linked terms. Yì can be translated as righteousness, though it may simply mean what is ethically best to do in a certain context. The term contrasts with action done out of self-interest. While pursuing one’s own self-interest is not necessarily bad, one would be a better, more righteous person if one based one’s life upon following a path designed to enhance the greater good, an outcome of yì. This is doing the right thing for the right reason. Yì is based upon reciprocity. Just as action according to Lǐ should be adapted to conform to the aspiration of adhering to yì, so yì is linked to the core value of rén (仁). Rén is the virtue of perfectly fulfilling one’s responsibilities toward others, most often translated as “benevolence” or “humaneness”; translator Arthur Waley calls it “Goodness” (with a capital G), and other translations that have been put forth include “authoritativeness” and “selflessness.” Confucius’s moral system was based upon empathy and understanding others, rather than divinely ordained rules. To develop one’s spontaneous responses of rén so that these could guide action intuitively was even better than living by the rules of yì. To cultivate one’s attentiveness to rén one used another Confucian version of the Golden Rule: one must always treat others just as one would want others to treat oneself. Virtue, in this Confucian view, is based upon harmony with other people, produced through this type of ethical practice by a growing identification of the interests of self and other. Confucius’ political thought is based upon his ethical thought. He argues that the best government is one that rules through “rites” (lǐ) and people’s natural morality, rather than by using bribery and coercion. He explained that this is one of the most important analects: 1. “If the people be led by laws, and uniformity sought to be given them by punishments, they will try to avoid the punishment, but have no sense of shame. If they be led by virtue, and uniformity sought to be given them by the rules of propriety, they will have the sense of the shame, and moreover will become good.” (Translated by James Legge) in the Great Learning (大學). This “sense of shame” is an internalisation of duty, where the punishment precedes the evil action, instead of following it in the form of laws as in Legalism. This realignment in Confucian thought was parallel to the development of Legalism, which saw filial piety as self-interest and not a useful tool for a ruler to create an effective state. A disagreement between these two political philosophies came to a head in 223 BC when the Qin state conquered all of China. Li Ssu, Prime Minister of the Qin Dynasty convinced Qin Shi Huang to abandon the Confucians’ recommendation of awarding fiefs akin to the Zhou Dynasty before them which he saw as counter to the Legalist idea of centralizing the state around the ruler. When the Confucian advisers pressed their point, Li Ssu had many Confucian scholars killed and their books burned—considered a huge blow to the philosophy and Chinese scholarship. The Chinese have a tradition of holding spectacular memorial ceremonies of Confucius (祭孔) every year, using ceremonies that supposedly derived from Zhou Li (周禮) as recorded by Confucius, on the date of Confucius’ birth. This tradition was interrupted for several decades in mainland China, where the official stance of the Communist Party and the State was that Confucius and Confucianism represented reactionary feudalist beliefs which held that the subservience of the people to the aristocracy is a part of the natural order. All such ceremonies and rites were therefore banned. Only after the 1990s, did the ceremony resume. As it is now considered a veneration of Chinese history and tradition, even Communist Party members may be found in attendance. In Taiwan, where the Nationalist Party (Kuomintang) strongly promoted Confucian beliefs in ethics and behavior, the tradition of the memorial ceremony of Confucius (祭孔) is supported by the government and has continued without interruption. While not a national holiday, it does appear on all printed calendars, much as Father’s Day does in the West. 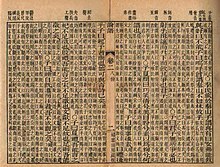 The works of Confucius were translated into European languages through the agency of Jesuit scholars stationed in China. 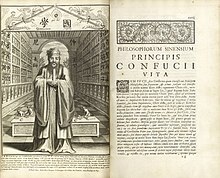 Matteo Ricci started to report on the thoughts of Confucius, and father Prospero Intorcetta published the life and works of Confucius into Latin in 1687. It is thought that such works had considerable importance on European thinkers of the period, particularly among the Deists and other philosophical groups of the Enlightenment who were interested by the integration of the system of morality of Confucius into Western civilization. Soon after Confucius’ death, Qufu, his hometown in the state of Lu and now in present-day Shandong Province, became a place of devotion and remembrance. It is still a major destination for cultural tourism, and many people visit his grave and the surrounding temples. In pan-China cultures, there are many temples where representations of the Buddha, Laozi and Confucius are found together. There are also many temples dedicated to him, which have been used for Confucianist ceremonies. Confucius’ descendants were repeatedly identified and honored by successive imperial governments with titles of nobility and official posts. They were honored with the rank of a marquis thirty-five times since Gaozu of the Han Dynasty, and they were promoted to the rank of duke forty-two times from the Tang Dynasty to the Qing Dynasty. Emperor Xuanzong of Tang first bestowed the title of “Duke Wenxuan” on Kong Suizhi of the 35th generation. 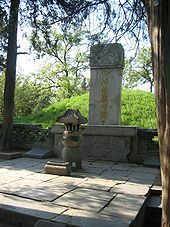 In 1055, Emperor Renzong of Song first bestowed the title of “Duke Yansheng” on Kong Zongyuan of the 46th generation. Despite repeated dynastic change in China, the title of Duke Yansheng was bestowed upon successive generations of descendants until it was abolished by the Nationalist Government in 1935. The last holder of the title, Kung Te-cheng of the 77th generation, was appointed Sacrificial Official to Confucius. Kung Te-cheng was offered the position of puppet Emperor of China in 1937 by the Japanese, but Kung declined the offer. Te-cheng died in October 2008, and his son, Kung Wei-yi, the 78th lineal descendant, had died in 1989. Kung Te-cheng’s grandson, Kung Tsui-chang, the 79th lineal descendant, was born in 1975; his great-grandson, Kung Yu-jen, the 80th lineal descendant, was born in Taipei on January 1, 2006. Te-cheng’s sister, Kong Demao, lives in mainland China and has written a book about her experiences growing up at the family estate in Qufu. Another sister, Kong Deqi, died as a young woman. Confucius’s family, the Kongs, has the longest recorded extant pedigree in the world today. The father-to-son family tree, now in its 83rd generation, has been recorded since the death of Confucius. According to the Confucius Genealogy Compilation Committee, he has 2 million known and registered descendants, and there are an estimated 3 million in all. Of these, several tens of thousands live outside of China. In the 14th century, a Kong descendant went to Korea, where an estimated 34,000 descendants of Confucius live today. One of the main lineages fled from the Kong ancestral home in Qufu during the Chinese Civil War in the 1940s, and eventually settled in Taiwan. Because of the huge interest in the Confucius family tree, there was a project in China to test the DNA of known family members. Among other things, this would allow scientists to identify a common Y chromosome in male descendants of Confucius. If the descent were truly unbroken, father-to-son, since Confucius’s lifetime, the males in the family would all have the same Y chromosome as their direct male ancestor, with slight mutations due to the passage of time. 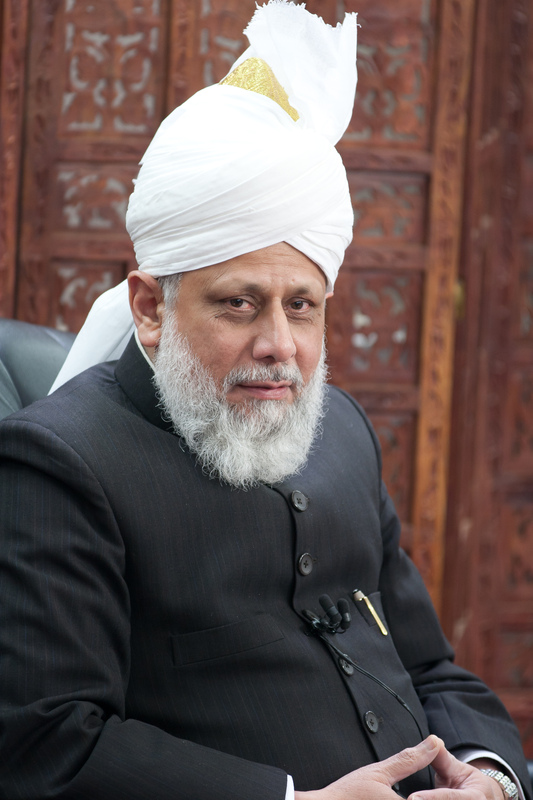 However, in 2009, the family authorities decided not to agree to DNA testing. Bryan Sykes, professor of genetics at Oxford University, understands this decision: “The Confucius family tree has an enormous cultural significance,” he said. “It’s not just a scientific question.” The DNA testing was originally proposed to add new members, many of whose family record books were lost during 20th-century upheavals, to the Confucian family tree. Note that this only deals with those whose lines of descent are documented historically. Using mathematical models, it is easy to demonstrate that people living today have a much more common ancestry than commonly assumed, so it is likely that many more have Confucius as an ancestor. Dollinger, Marc J., “Confucian Ethics and Japanese Management Practices,” in Sterling Harwood, ed., Business as Ethical and Business as Usual (Wadsworth Publishing Co., 1996), pages 148–157. Vidal, Gore (1981). Creation. New York: Random House. ISBN 0-394-50015-6. Confucius appears as one of the main characters in this novel, which gives a very sympathetic and human portrait of him and his times. “Buddha.” Encyclopædia Britannica. Encyclopædia Britannica Online. Encyclopædia Britannica, 2011. Web. 07 Jan. 2011. <http://www.britannica.com/EBchecked/topic/83105/Buddha&gt;. Tucker, Ruth (1983). From Jerusalem to Irian Jaya A Biographical History of Christian Missions. Grand Rapids, Michigan: Zondervan. ISBN 0310239370. Page 477. Prof. Mark W Muesse. Confucius, Buddha, Jesus and Muhammad. The Great Courses transcript book, 2010. Pages 103-109. Prof. Mark W Muesse. Confucius, Buddha, Jesus and Muhammad. The Great Courses transcript book, 2010. Pages64-66.